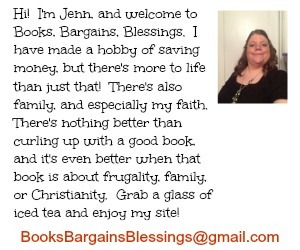 Books, Bargains, Blessings: I Was Kicked Out of CVS Over Legit Coupon Useage! 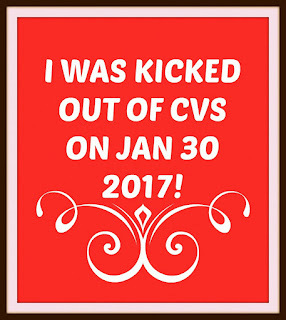 I Was Kicked Out of CVS Over Legit Coupon Useage! I bought a number of items, including the eggs at 99 cents which were limited to two per person. I have always obeyed limits when shopping. I read a sign (or misread, I will say I may have been at fault here, but this is important at check out) I read a sign that said Coke products were 3 for $15, spend $30 get $10 back in Extra Care Bucks. I had five coupons with me I had received from turning in points at My Coke Rewards. I didn't realize these were limited to four like coupons in one shopping trip. I have never misused coupons and I don't intend to start. Had I seen that I would have only handed the cashier four. The Coke rang in at $4.49. The cashier told me she could only take $4.99 off the Coke. Because I had the understanding that the Coke was three for $15, thus $5 each I said, "That's fine because I don't mind paying a penny for a 12 pack of Coke." I chuckled and was pleasant. After all, this is what happens when you use a totally free coupon. The cashier declared that the register was refusing the coupons because of the wording "Only one coupon per purchase. Limit of 4 like coupons in the same shopping trip." She said that because I was purchasing six cartons of Coke, I was only purchasing one and the register wouldn't allow me to use more than one coupon even though the register has allowed three to go in thus far. (Unknown to me at this time, the register was upset because she was keying in the maximum value of the coupon, not the price of the item, and of course the CVS register is going to show an error when a coupon exceeds the value of the item.) I tried to explain that if purchasing six was really only one, then there would be no need for the words "Limit of 4 like coupons in the same shopping trip." But to no avail. I wanted to quickly figure out a solution and get home because I live an hour from this store and our area often gets hit with lots of snow, but what transpired was anything but quick. I spoke with Liz at corporate. I explained the situation and she seemed perplexed that I was having this issue. (To be honest, I was too.) Liz said she was going to call the store. The manager answered the phone and corporate wanted to speak with the cashier. She got on the phone, and it got disconnected with her stridently saying "HELLO?" into a phone receiver. Liz cam back on the line with me and said she was going to call again. At this point the cashier started saying to me "You can't tell me how to do my job" and became belligerent. So the cashier started in on how I came in there to try and get her fired. (I didn't even know this woman existed until I walked in there, I certainly did not come in with an agenda.) The cashier then gathered her things and said she quit. I asked the lady from corporate if she heard that, and she said she did. At which point the cashier told me, "I can quit if I want to." Then she added, "You are making me lose my job." I am wanting to go to grad school in the fall, and one of the things in my intended area of study we will learn is each person is responsible for his or her own actions. I said to the cashier, "I am not making you do anything. Your decisions are your responsibility." Again, I tried to ignore all the stuff the cashier was saying about me making her quit and I turned my attention back to the phone. The lady from corporate seemed very confused with the absolute chaos going on, and I was asked if I had shopped at that store before. As I said "Yes," my "but not often" was overshadowed by the cashier yelling "No" (the phone was on speaker phone at this point so everyone could hear everything.) I noticed other customers staring. Then the cashier who had just quit her job went back behind the counter to ring someone up. I was really confused. She had just quit. I asked, "Wait, didn't she quit? Why?" and motioned to the people buying diapers at the next register. By this point, the manager was willing to run all five coupons I had through, but I told her no because of the "limit four like coupons in the same shopping trip" wording. I have never misused coupons, and I am NOT going to start because a manager is willing to make an exception for me. I told my husband that I wouldn't purchase the other three Coke items. As we were leaving, I suggested to corporate that some customer service training might be appropriate and I was going to follow up on this shopping trip. The cashier became more belligerent and I did recognize it. At this point the manager said she couldn't put up with the arguing (and told the cashier to be quiet -- but since it didn't work before I don't expect it it worked that time.) Then the manager kicked me out of CVS. I was STILL on the phone to corporate. I was crying by this point and said to the lady from corporate, "I can't believe I was just kicked out of CVS". She kept apologizing. I was told on Monday to expect a call from the regional manager within 48 hours. It is now 7pm on Friday, and I have heard from the store manager and she apologized, but I have not heard from anyone higher than her. This is NOT the type of experience I expect from CVS nor its employees. 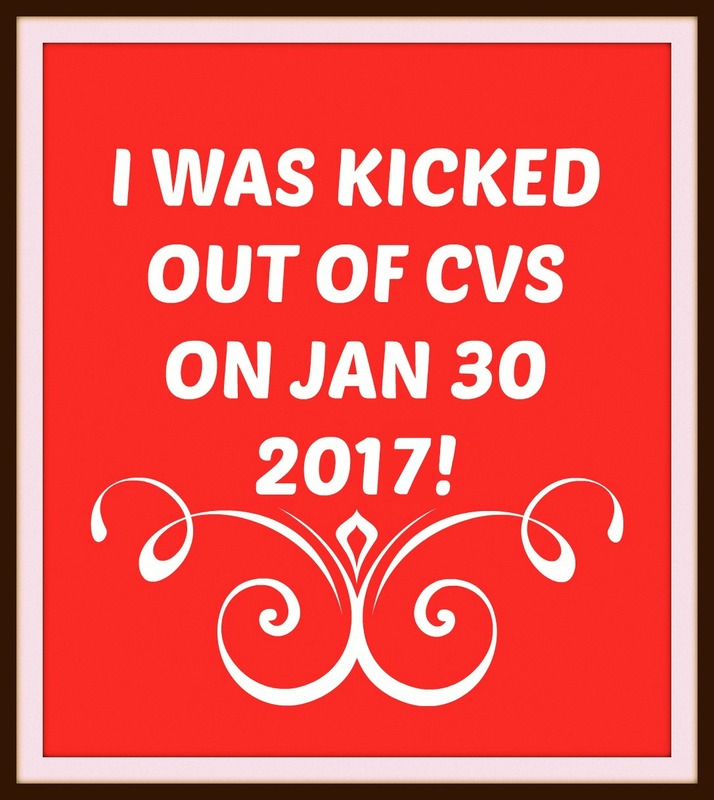 Have you posted this link on the CVS main FB page and Twitter page? Bet you get a response. Please let us know what happens. I'm so sorry that happened to you!